UPDATE: Late tonight (1 a.m. Thursday Israel time Dec. 29), the Society for the Protection of Nature in Israel, Green Course, Arava residents and the public will meet at the Samar sand dunes! Free buses leave from Tel Aviv's Central Train Station at 1 a.m. (early morning Thursday Israel time Dec. 29), next to Sixt Rental Car. Buses are scheduled to return to Tel Aviv tomorrow, Thursday, Dec. 29 at 3 p.m.
NEW YORK (Dec. 28, 2011) — Today or tomorrow, the government's contractor plans to begin destroying the Samar sand dunes. But as long as the dunes stand, we have a chance to stop the bulldozers! The dunes were slated to be razed in October — the only reason that they're still here is because we rose up and made our voices heard. To save the dunes, we must raise our voices again. Louder. Now. The dunes destruction wouldn't just be the end of an ecosystem; it would be the extinction of the endangered species that call the dunes home. If you are in Israel, please go to the dunes! An impromptu demonstration may buy us more time to get the dunes preserved. Plus, it will help show the government that people care about Samar! You also can call the office of Prime Minister Benjamin Netanyahu at (02) 670-5555. And/or, you can call Netanyahu's political party, Likud, during business hours at (02) 675-3539, and/or fax (02) 649-6578. 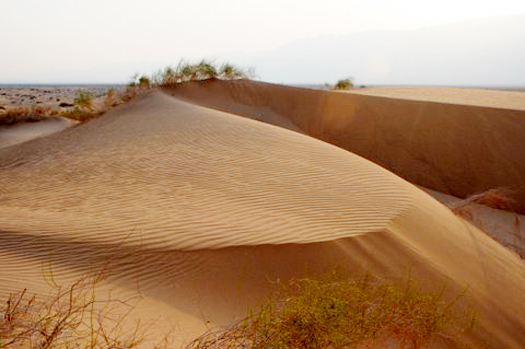 If you're outside of Israel, please call the Israeli embassy and give diplomats and politicians the message: The Samar sand dunes should be preserved by the Israeli government as part of the inheritance of Israelis and Jews worldwide. We can win this, but we have to stand up and fight now — please call the embassy and please spread the word!